The very qualities that make parrots such desirable pets – intelligence, sociability, long lives and high activity levels – can also make it quite difficult to provide them with proper care. During my years with the Bronx Zoo, I was astounded by both the numbers of people looking to find homes for their “problem parrots”, and by those seeking to adopt unwanted pets. Parrot rescues have sprung up all over the world in response to this situation, but not all are what they appear to be. “Animal Hoarding” has become a trendy term lately, but there is nothing new about this sad phenomenon. Over several decades, in the course of assisting the NYC Police Department and other agencies responding to animal emergency calls, I have run across people who jammed their houses full of unsustainable numbers of turtles, rabbits, lizards and even caiman (South American crocodilians) – as well as the more commonly-kept dogs, parrots and cats. To the person, most were good-hearted and well-meaning, but for some reason (please see article below) they became enmeshed in unrealistic efforts to save too many creatures. There are folks who have huge collections of unwanted pets and do a fine job of caring for and re-homing them. Hoarders are different – a visit to their homes or facilities will make it apparent that they are in over their heads. Most are very hard workers and may give the appearance of being in control, but even the most financially well-set inevitably crash, imperiling their own health and causing much loss of life among their animals. No good can come from placing your bird with such folks, however dedicated they may be. Profit-oriented “rescuers” are a more devious group. They see unwanted parrots as a source of income, and are especially quick to “adopt” Macaws, Cockatoos and other expensive birds. Because behavioral problems and illnesses are not always readily apparent, especially to novice bird owners, these unscrupulous individuals can often sell birds that have little chance of adapting to new homes. 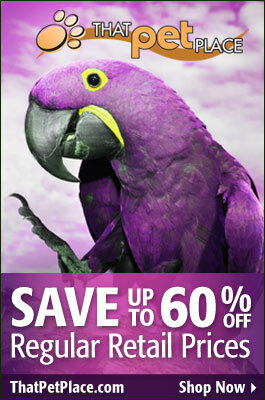 Those looking to re-sell rather than rehabilitate parrots are often difficult to detect. They are usually consummate sales-people, and may use a “Not-for-Profit” status to hide their true intent. Unfortunately, in most states a “Not-for Profit” designation is rather easily obtained, but says little of substance about the organization’s activities. The same horrid abuses that arise among groups pretending to help homeless children, and in other circumstances, crop up in the animal rescue field as well. If you have or know of a parrot that would best be placed in a rescuer’s hands for rehabilitation and future adoption, please write in and I’ll help if possible. You might also wish to seek the advice of experienced members of a local parrot club or society…they may be able to suggest changes that will improve life for you and your bird. 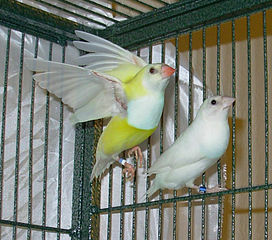 Avian veterinarians may also be helpful in offering husbandry suggestions or placing the bird in a good situation. Please also check the list of US and international rescue centers listed below…it is not an endorsement of the facilities, but a good starting point (I strongly suggest a personal visit). US and International Parrot Rescue Groups. In depth article: Animal Hoarding. it really hurts me badly……A large amount of the big birds stay in one area, there are plenty of fighting with others and even though it has been brought to their attention this still happens! Hello Wanda, Frank Indiviglio here. Thanks for your interest. It’s such a difficult problem. On the one hand, the unwanted parrot population is at an all time high (please see this article); on the other, people can take advantage of this by wharehousing and then re-selling problem birds. Many of the legitimate rescue groups are plagued by poor funding, so crowding etc. sometimes becomes unavoidable. More education on the realities of parrot ownership is needed. Thanks for your interest and congrats on the eggs. 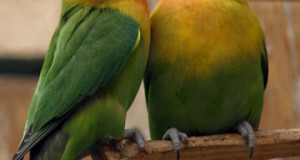 Great questions, the points you raise are often faced by parrot breeders. Leaving the eggs for a short time will not affect their development. However, the pair could abandon the clutch entirely if they feel stressed. Try to limit noise, disturbance as much as possible; especially avoid peering inside to check on them. Aggression is very common during the breeding season. Birds often return to normal after the young have fledged and been removed, although some calm down before then. The process is largely controlled by hormones; a permanent change in personality may occur, but this is very rare. Cage cleaning can be a real ordeal. Although hygiene is important, it’s best to be very brief, not do as thorough a job as usual. If you follow the same routine each time, do things exactly the same, she may adjust. Wear leather gloves if need be. Inbreeding, or the mating of relatives, can be a problem over time as there is a greater chance for harmful recessive genes to be expressed (this is the reason we see so many health/developmental problems in purebred dogs). Birds seem somewhat resistant, and in any case several crosses of relatives are rarely if ever a concern. Blue and other Lovebird color morphs tend to have been inbred early on, but hopefully yours are not from a long line of relatives. If you plan on breeding again, you might try tracing your pair’s history through the breeder (shop owner might be able to put you in contact).